Do you have your own ice cream machine and are looking for a new recipe to make up in it? 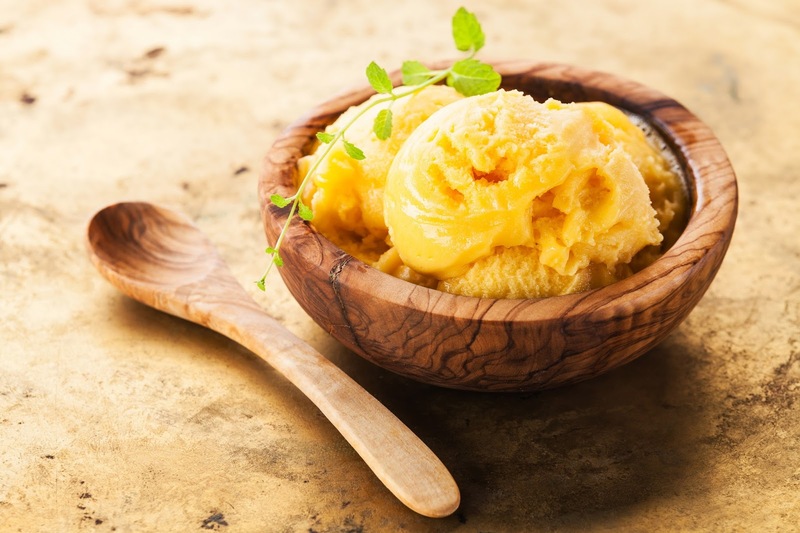 Fancy trying out this Mango And Pineapple Ice Cream recipe? heaDrain the fruit, reserving the juice. Place the fruit in a blender with 100mls of the reserved juice and puree until smooth. Add coconut milk and sweetener and blend for 30 seconds. Pour the mixture into an ice cream machine and churn until thick and creamy. Serve with slices of mango and toasted coconut. Sticky Rice, Mango and Palm Syrup. This is such a delicious and easy dessert. It could also be served with spiced stewed plums in the autumn and a selection of summer berries in the summertime. Or maybe you fancy making your own ice cream? How about some Low-carb Vanilla Ice Cream? The recipes are quick and easy to make, so you can enjoy some summer classics on the go or outside in the garden with minimal prep time. "Fresh Strawberry And Vanilla New York-style Cheesecake…"
Whoo, yummy 🙂 Thanks for stopping by ..
Oh yum this sounds so good. I do have an ice ceam maker! yay! !